Originally from South Africa, Jules emigrated to Yorkshire in 2003. Graduating from Askham Bryan College in 2014 with her Veterinayr Nursing degree, learning didn't stop there. Jules gained her Wound Management and Healing Certificate (2016) and Dentistry Certificate (2016) and Infection Control Certificate in (2018). Alongside managing her team, Jules is also a clinical coach. Outside of work, Jules is an assessor for German Shepherd Dog Rescue as well as a volunteer for Therapy Dogs Nationwide with Calli as a qualified therapy dog. Her main areas of interest lie in Wound Management and Healing, Radiography, Senior Patient Wellbeing and Weight Management. Here she is with her Swiss Shepherd, Calli. Born in West Yorkshire, Simon came back to his roots after spending 10 years in Oxfordshire. Having gained his veterinary nursing diploma whilst working at Parkhill, Simon graduated from Leeds College of Animal Welfare in 2014 – making it into the 2% of male veterinary nurses. 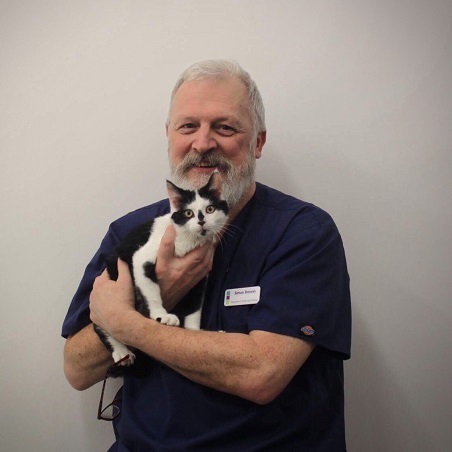 Simon is a feline fanatic and strives to ensure thaat the practice maintains its feline friendliness membership with Internation Cat Care. He is also a clinical coach and enjoys teaching students. As well as being a qualified nurse, Simon also has a combined BSc(hons) degree in Applied Computing and Applied Biology. Here he is with Pedro the cat. Having lived all her life in Yorkshire, Harriet came to Parkhill Vets Ltd after graduating from Askham Bryan College with her Diploma in 2015. Harriet also gained her Dentistry certificate 2016. 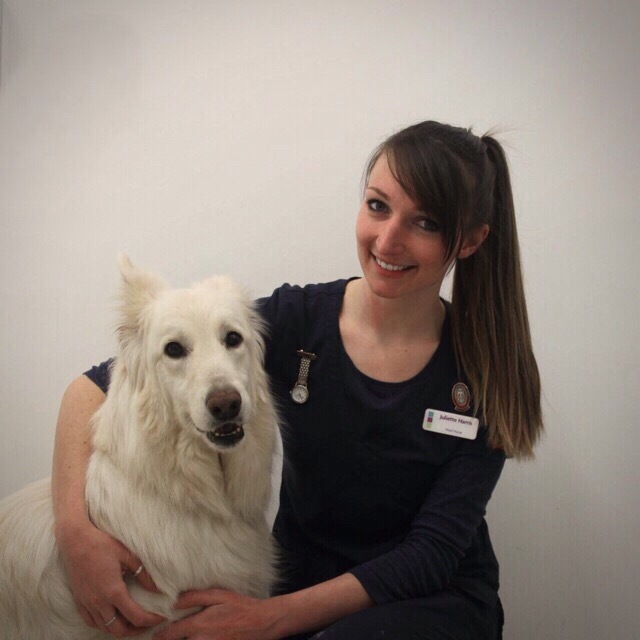 Harriet’s main areas of interest include intensive inpatient care, exotics and dentistry. Here she is pictured with her Cocker Spaniel, Hector. Simons has lived his whole life in Leeds and graduated from the College of Animal Welfare in 2015. His main areas of interest are surgical procedures and caring for hospitalised inpatients. He also enjoys the challenges of nursing wildlife. Simon also enjoys educating and sharing advice with new pet owners to help them build a healthy relationship with their pets. As well as being a qualified nurse, Simon also has an HND in Animal Management and a BSc(hons) degree in Countryside Management. Here he is with his Collie cross Jack Russel, Rene. Joined in 2012 – 2015, and then returned in 2017. Steph graduated from Harper Adams University with a degree in 2010. 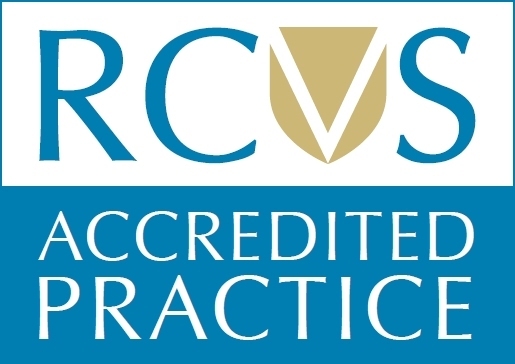 She has worked in various practices, but has found her way back to Parkhill Vets Ltd. Her main areas of interest are peri-operative care and intensive care. Steph also gained a post-graduate diploma in physiotherapy in 2014 and now runs her own physiotherapy business. Here she is with her Large Munsterlander, Folly. Emma was born and bred in Yorkshire. She completed her veterinary nursing training here at Parkhill Vets and graduated from Askham Bryan College with her Diploma in 2018. Her main areas of interest are canine behaviour and theatre nursing. Here she is with her Welsh Springer Spaniel, Barney. Sarah Graduated from Manchester University in 1999. Originally from Cheshire, Sarah moved to Yorkshire in 2003 and joined Parkhill Vets. As well as being an RVN, Sarah lectured student veterinary nurses at Askham Bryan College for 5 years. She is also a P3233 Assessor and an SQP. Amongst all these things, Sarah has a keen interest in nutrition and nurse clinics. Sarah is also an APHC (Advanced pet health couselling) and has prevoiusly won not one, but two national awards! Lucy has lived in Yorkshire all her life and joined Parkhill Vets Ltd in 2017 as one of our first animal care assistants and she is now training to become a registered veterinary nurse! Her main areas of interest include Canine Behaviour, Neonatal Care, Intensive Care Patients, Radiography and Front of House Client Care. Here she is with her Pug, Mavis. Becky has lived in her home town of York her whole life. Her love of animals developed in her early twenties when she started volunteering at a dog crèche. She especially enjoys working with nervous dogs as it is very rewarding when their trust is gained and watch their confidence grow. Becky has done a few Dog behaviour and Training day courses, as well as being animal first aid trained.